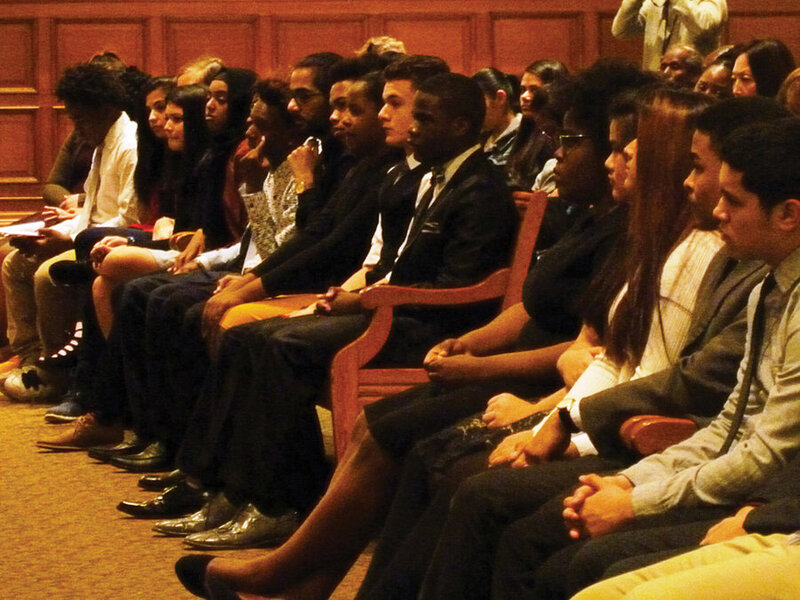 Students from schools throughout Jersey City were sworn in as members of the Jersey City Youth Court on Feb. 15, marking a new approach to dealing with minor crimes among kids. 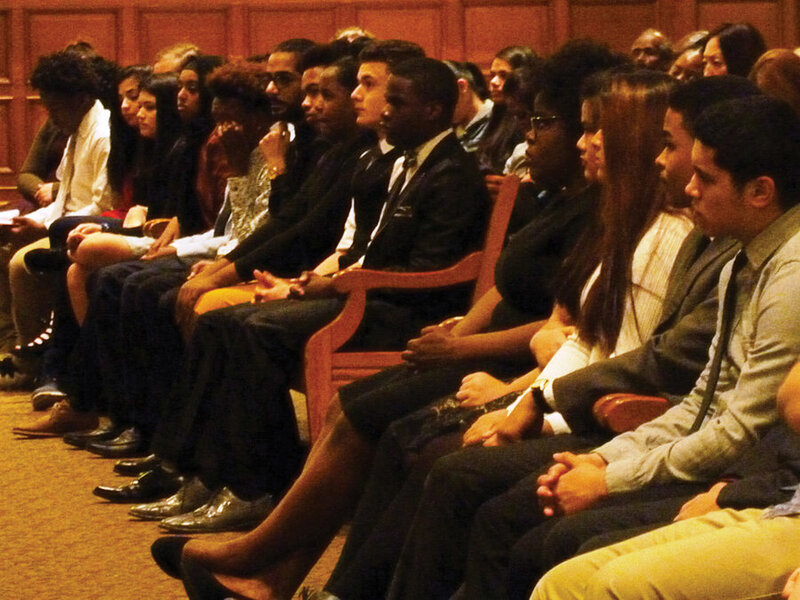 Youth Court is a program that was started in the 1990s by then-Attorney General Janet Reno, is an innovative, peer-based model that will train youths to hear low-level, real-life cases involving their peers in the hope it will prevent their getting involved in the criminal justice system. 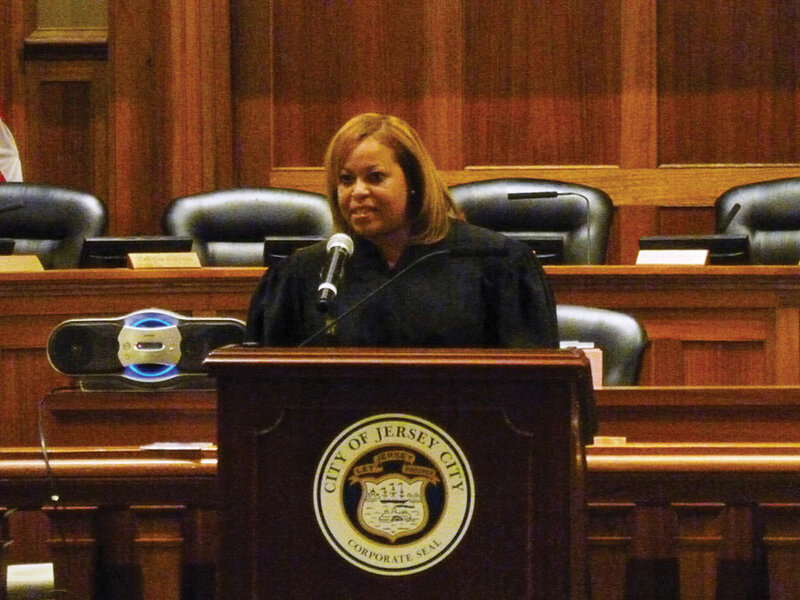 Jersey City thus becomes the second city in the state to launch a youth court program and joins more than 1,150 youth courts operating in 49 states and the District of Columbia. “This is something that will change people’s lives,” said Mayor Steven Fulop. 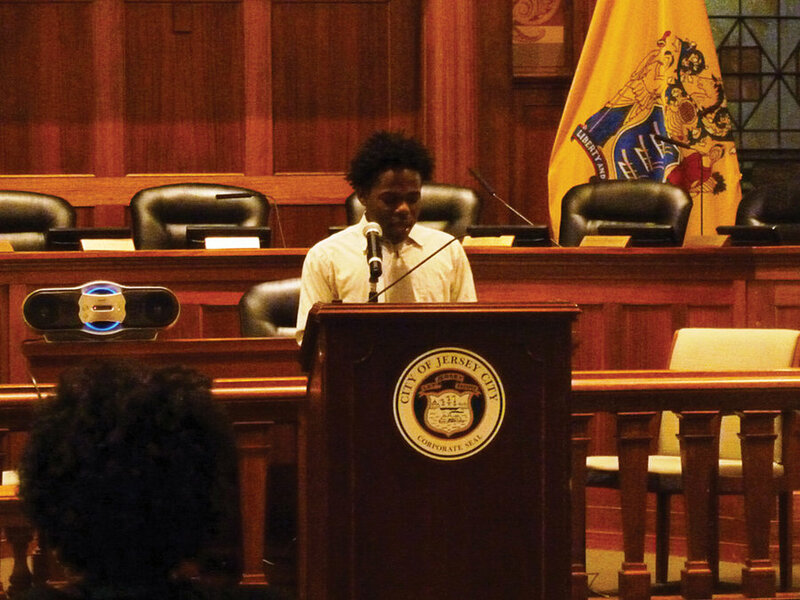 The idea behind Jersey City’s youth court program is to use positive peer mentoring to ensure that young people who have committed minor offenses learn accountability and repair the harm caused by their actions. The program will provide afterschool employment opportunities and training for youth to serve as jurors, judges and advocates. The purpose of the court is to provide an alternative disposition for juveniles who have committed a delinquent act, have committed a minor offense, or have been charged with a misdemeanor, and are otherwise eligible for diversion. 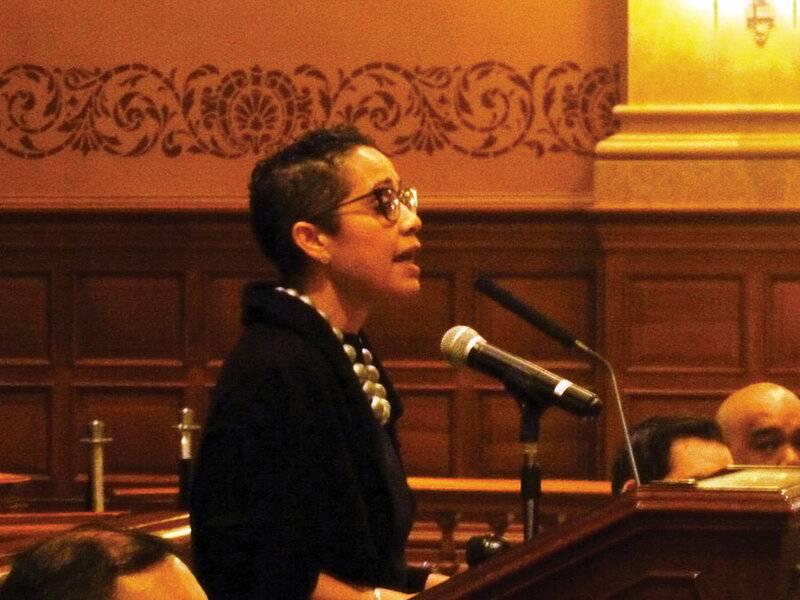 Those sworn in on Feb. 15 will serve in various capacities within the program, trained and acting in the roles of jurors, lawyers, bailiffs, clerks and judges. Often, sentences will involve the defendant’s making restitution to someone harmed or inconvenienced by their actions, or creating an informational awareness project about health, safety, respect, or another topic relevant to the offense. One of the more common sentences is community service. Deputy Mayor Vivian Brady-Phillips said the program is expected to handle about 50 cases the first year. 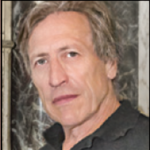 The city is currently working with the Prosecutor’s Office, the Municipal Court, the Police Department and the Board of Education to determine the type of matters that will be heard. “Who is better to work with young people? They are the experts. They will lead the way to the future,” Abad said. The students involved in the program include Mohamad Abdou, Asmaa Ashraf, Urooj Chaudhry, Thyquel Halley, Maheen Khan, Joel Vargas Medina and Addel Mohsin from William Dickinson High School; Christian Blanco, Amina Emara, and Ian Morales from Innovation High School; Jamilla Burrows-Mincey, Jalicia Forde-Billy, Paola Maldonado and Khaaliq Moore from University Academy Charter School; Dlyan Casas and Rae-Anne De Jesus from Liberty High School; Isabella Diaz, Antony Edge, Sofia Lesnewski, Razan Tatai and Kevin Martinez from Dr. Ronald. E. McNair Academic High School; Gianna Flores from Hudson Catholic, Nevan Gandhi and Yomalis Perozo from Infinity Institute; Justin Howard from Renaissance Insitute; Jonathan Marte from St. Anthony High School; Jehudi Mata and Jancy Ortiz from James Ferris High School; Isaiah Montalvo and Zaria Palmer from Lincoln High School; and Vivencia Volcimus from Henry Snyder High School.